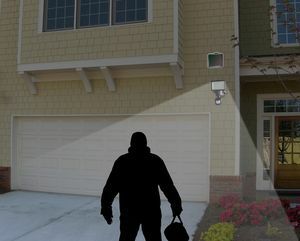 Use the power of the sun to light dark areas and add extra security with the Sunforce 60 LED Solar Motion Security Light. 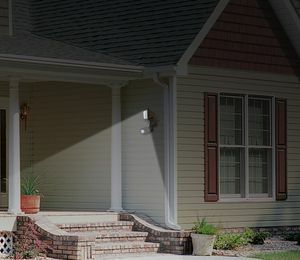 This light automatically turns on when motion is detected, making it the perfect solar security solution. This security light comes equipped with 60 super-bright LEDs in a durable ABS plastic and aluminum housing. The 1-watt, 6-volt amorphous solar panel charges 1 x AA 5-Pack Ni-MH 6V 900mAh of rechargeable batteries, ensuring reliable lighting power for whenever, wherever you need it. Provide lighting and security to your garage, pathway, shed or remote cottage anywhere, anytime. 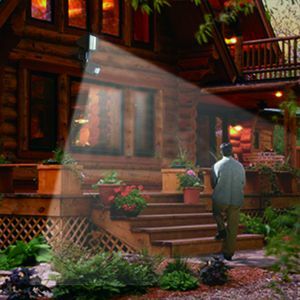 Use the power of the sun to light dark areas and add extra security with the Sunforce 60 LED Solar Motion Security Light. This light automatically turns on when motion is detected, making it the perfect solar security solution. This security light comes equipped with 60 super-bright LEDs in a durable ABS plastic and aluminum housing. The 1-watt, 6-volt amorphous solar panel charges an AA 5-Pack NiMH 6V 900mAh of rechargeable batteries, ensuring reliable lighting power for whenever, wherever you need it. The Sunforce 60 LED Solar Motion Security Light features 60 super-bright, white LEDs with an 850 lumen output. The LED light delivers up to 8 hours of illumination (non-continuous) on a single charge. Enjoy peace of mind with a detection distance of 30 feet, and a detection range of 180 degrees. It's powerful security coverage for nearly all driveways, porches, decks, sheds, and more. This solar motion detector features 3 control dials to customize your light to match your needs. LUX (light level) determines the level of darkness that must be reached for the light to turn on. TIME sets the duration of illumination time. And SENS (Sensitivity) determines the range of motion detection. LUX Setting: Set this dial knob towards the MOON icon (counterclockwise) for its ideal night-time operation. This allows the batteries to recharge during daytime. Main Switch: Set the switch to the AUTO position for its ideal motion-activated operation. The ON position allows you to run the light continuously for a limited time (approximately 45 minutes). Please be aware that this setting will deplete the battery and extra charging time may be required. Extra Charging Time: Put the main switch in the OFF position and allow the batteries to recharge for two to three days. This may be necessary if the battery has been depleted due to continuous bad weather conditions (low light), extended day-time use (LUX on Sun icon) or continuous use in the ON position. No wiring is required to install the Sunforce 60. 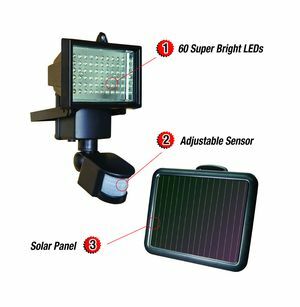 Simply choose your desired location to mount the solar light and solar panel and have it set up within minutes with the included mounting hardware. Solar panels convert sunlight into an electric current, they do not store power. Amorphous solar panels are created by spraying silicon onto glass in very thin layers, and are commonly known as thin film solar panels. This process allows them to be better at generating electricity in all lighting conditions, including cloudy or shady environments. Amorphous solar panels are best for smaller output needs, temporary set ups, and areas that do not receive predictable sun conditions. These solar panels ensure that your solar lights will work anywhere.